“When I started fishing first, there was one fish in the water. 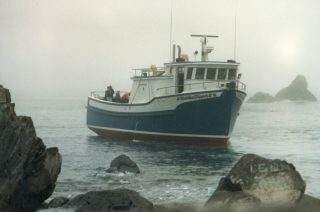 That was cod,” said Vernon Petten, fisherman and boat builder from Port de Grave, Conception Bay. 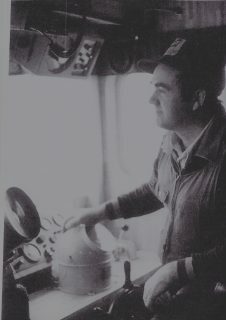 Vern started fishing when he was old enough to get aboard the boat. He was only five years old when he accompanied his grandfather, John William Petten, on his last trip out. Vernon’s love for the water outweighed his fondness for school, especially on the days when the school children were to receive needles. Summer holidays were always spent fishing. 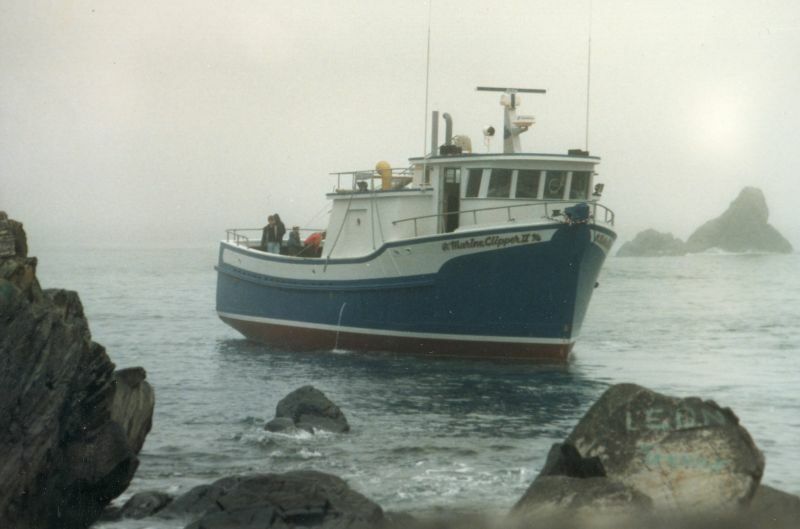 At twelve years old, Vernon fished with an older man in the community named William Henry Doyle, known as Poppa Doyle, in a sixteen foot boat with a three horsepower Acadia engine. Vernon’s grandmother, Caroline Petten, would look after his money on his behalf. “I wasn’t wasteful. I wanted a good bike on account of going to Bay Roberts,” to visit his future wife, Shirley Badcock. Vernon would ride his bike ten kilometres from his home in Hibb’s Cove, Port de Grave, to see Shirley in Mercer’s Cove, Bay Roberts, often getting back home in the early morning hours. “Every time I came home in the night, the top stair on the steps would squeak and I’d try to get up without my grandmother hearing me,” Vernon laughs. Marine Clipper II, launched in 1988. Vernon and Shirley were married in 1955, the same year that Vernon built his first large fishing boat, the thirty-five foot Shirley & Buelah. 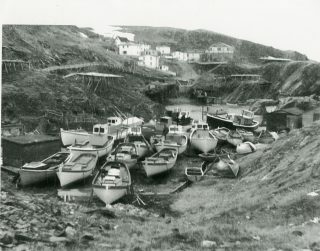 “That was the year they were building the bounty boats,” said Vernon referring to the 1955 Fishing Ships (Bounties) Act, which paid fishermen $8-10 per foot on newly constructed fishing boats from 24 feet to 35 feet. Over the years Vernon has built a dozen longliners, making each one bigger than the last. While cod may have been “the only fish in the water” when Vernon started his fishing career, by the time he retired from the water he’d fished for everything, including mackerel, herring, capelin, crab and tuna. “When my son Blair went to school and got his grade twelve, that’s what he wanted to do. He wanted to skipper the boat. When he got old enough to do it and came to work, I said, ‘now it’s your turn.’” Vernon continues to help out onshore, while his children and grandchildren carry on generations of family fishing tradition in Port de Grave. Wow, this brings back memories. I remember Vernon and Shirley and so many more. I taught in Port de Grave in the Pentecostal school in 56/57. I was all of seventeen years old and principal of the little two classroom school. That was a different time, a different world. Dad used to love going out for a trip. I am in awe of the skills.